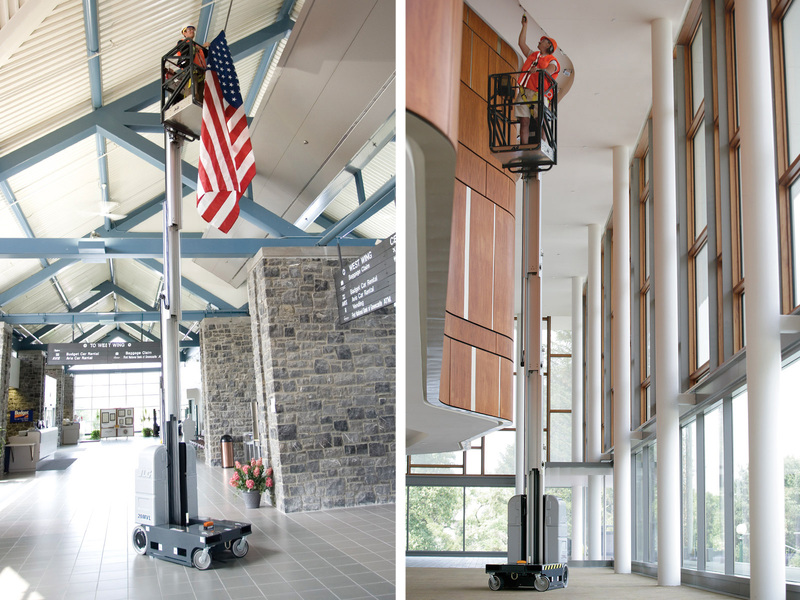 The MVL Series offers three platform options with exclusive “Quick Change” mountings for one-minute change-outs. 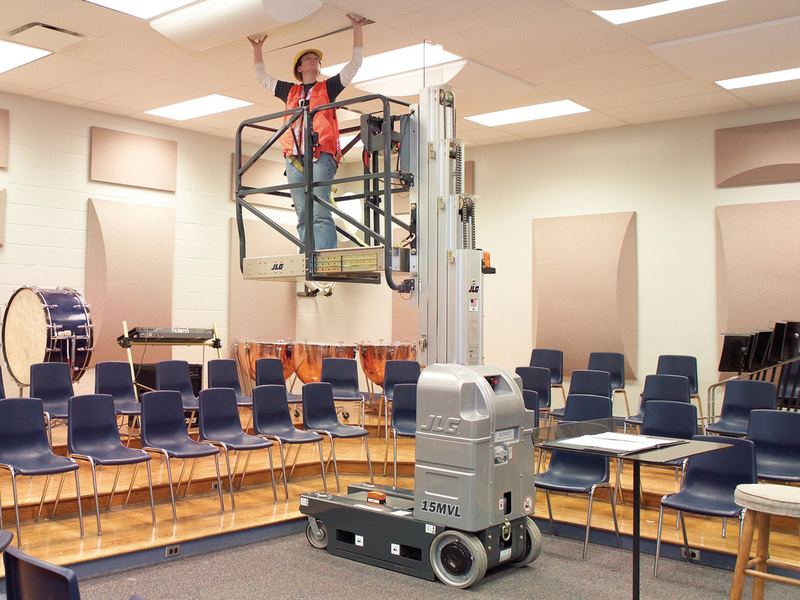 They also have the most rigid anodized mast in the industry for a more stable work platform. 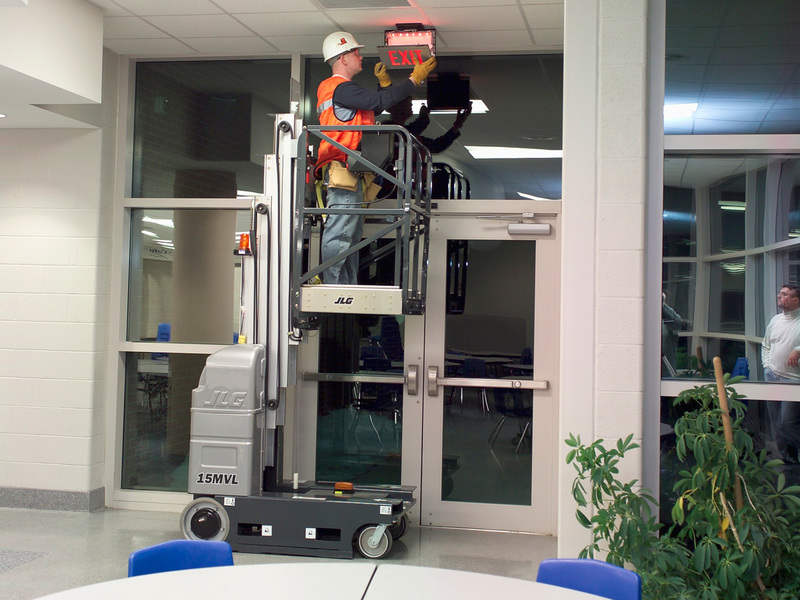 Whether you’ve got work to do in factories, retail centers, airports or public buildings, JLG® Mobile Vertical Lifts keep you on the job longer. A pair of reliable direct electric drive motors deliver power while maintenance-free long cycle batteries hold their charge. The built-in, automatic charger has a five-hour recharge capability. Three platform options with exclusive one-minute quick-change mountings let you get maintenance jobs done efficiently.